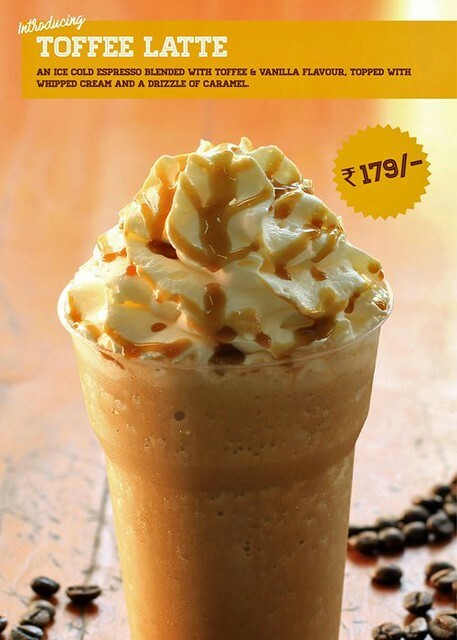 New menu @ Au bon Pain, Bangalore ! 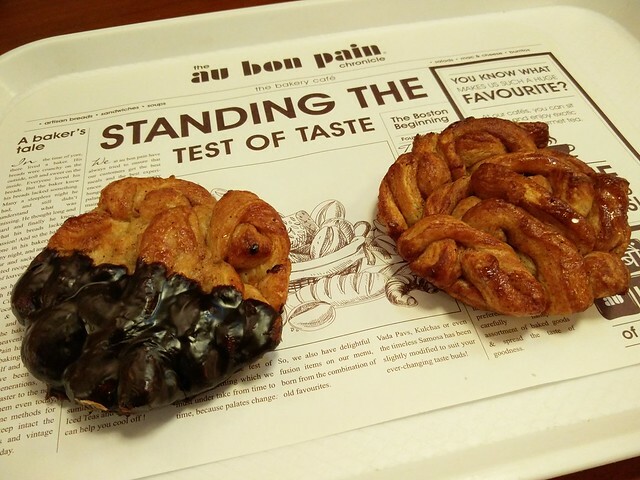 Au Bon Pain meaning “at (or to) the Good Bread” is a well known American fast food chain. After it’s inception at Boston’s Faneuil Hall Marketplace in 1976, it’s opened up over 300 outlets across America, Thailand and India! 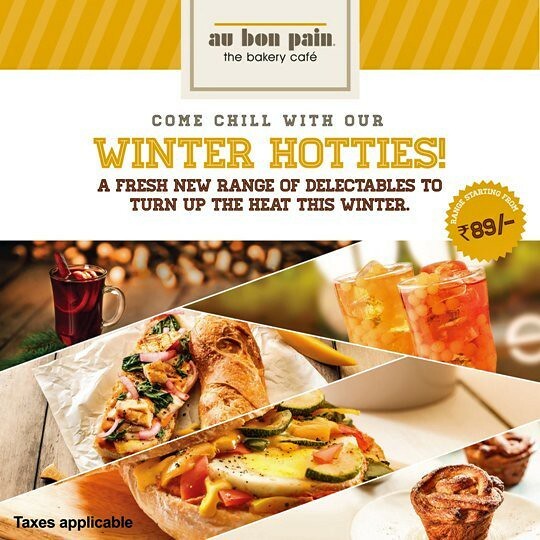 Our very own Bangalore has 14 outlets of Au Bon Pain 🙂 I was at one of their most promising outlets in Indiranagar sometime last week. 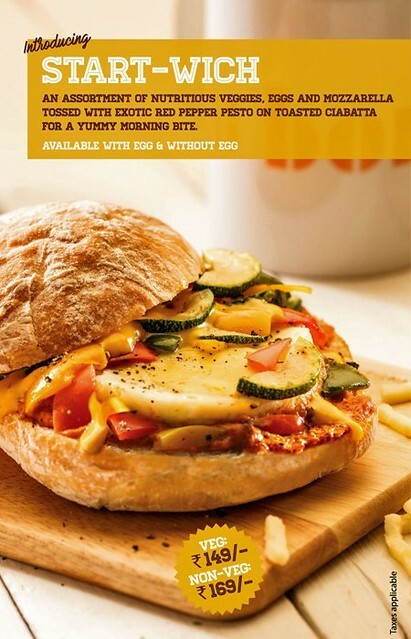 I happened to try from the new menu, a dish they call Start-Wich; a sandwich with fresh roasted veggies, eggs, mozzarella with red pepper pesto on a toasted ciabatta (an Italian white bread). 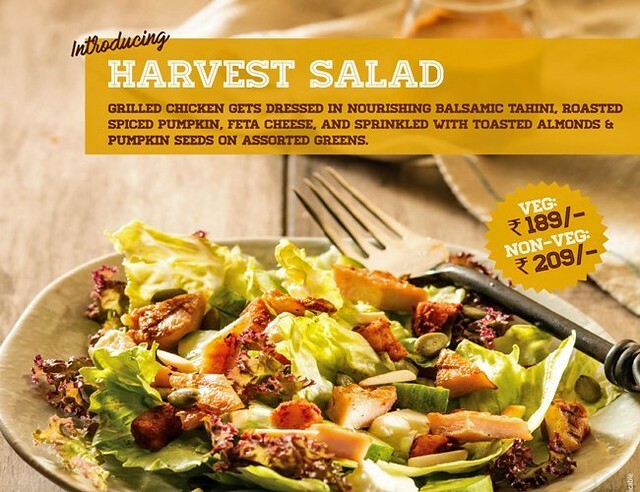 Another absolutely healthy dish is their Harvest Salad ; veggies with roasted spiced pumpkin, feta cheese, toasted almonds & pumpkin seeds on assorted greens, topped with a balsamic tahini dressing! Let’s get to the monkey business, shall we? 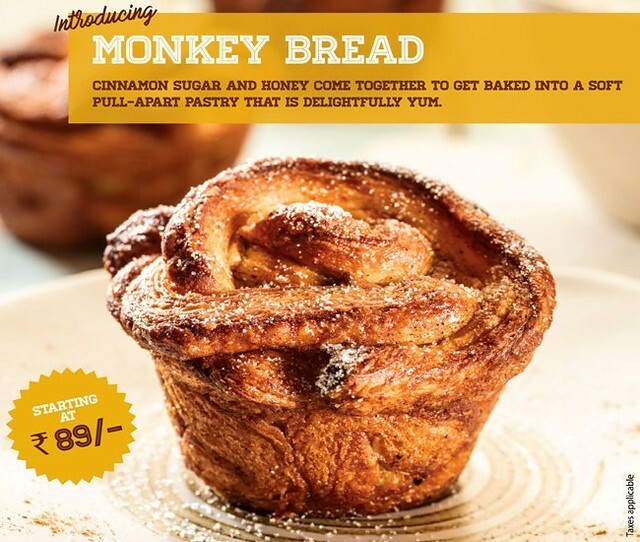 I have no idea why this has been named the Monkey bread, but it does have some method to the madness I presume 🙂 This soft pastry is also available in a chocolate flavor! 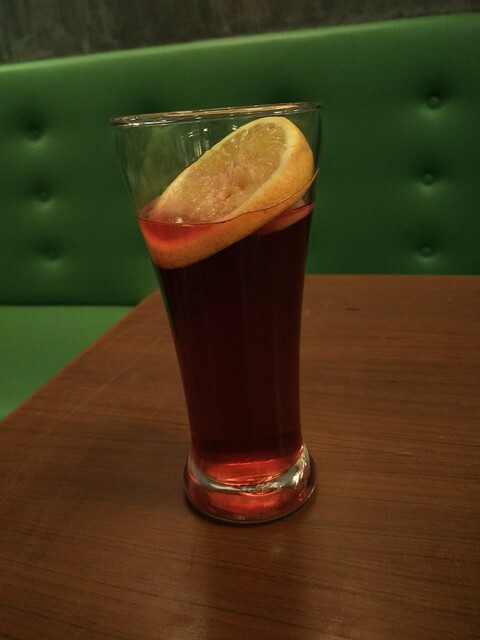 This version of mulled wine is alcohol free and can be enjoyed by kids as well 🙂 Mulled wine is a traditional drink that’s home made during festive time across Europe and some parts of America. 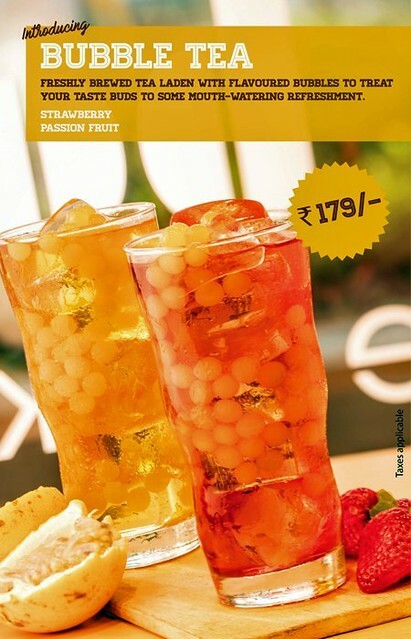 It contains grape juice, sugar, spices( cloves, cinnamon, nutmeg) and some orange and lime juice.